Equity markets continued to sell off on Tuesday as world markets begin to stomach the effects of future tariffs, proposed by the Trump administration. The new trade row coincides with China’s decision to table a proposal to the World Trade Organisation next week in a bid to slap sanctions on the United States. Beijing argues that the US has failed to comply with a ruling made over US duties on imported products. Asian markets were not able to stop the haemorrhaging on Tuesday as the Hang Seng and the Shanghai Composite Nikkei retreated 0.72% and 0.18% respectively. The Japanese Nikkei was the only exchange to chalk up any gains on the market, closing in the black by 1.36%. The tide seems to be turning as Beijing and Moscow look to solidify trade agreements and look for new markets as they aggressively seek to wane their dependence on the US. The local bourse was not spared as the market heavyweights continued to lose ground. There were a handful of gainers on the day as most of the big names slid lower in line with global markets. The notable gainers were Spur Corporation [JSE:SUR], which was up 5.82% on Tuesday having been in the red in the previous trading session. RCL Foods [JSE:RCL], PSG Konsult [JSE:KST], and Assore [JSE:ASR] managed to go against the grain to notch up gains of 5.82%, 4.68% and 4.01% respectively. The mining sector was weaker on the day as commodity prices eased with the advancing Dollar. Impala Platinum [JSE:IMP], Exxaro [JSE:EXX], Northam Platinum [JSE:NHM], and Gold Fields [JSE:GFI], shed 5.3%, 4.89%, 4.34% and 4% respectively. 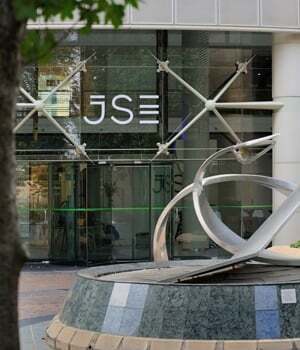 The JSE All-Share index closed the day 0.95% weaker, while the JSE Top-40 index lost 0.99%. Losses were recorded by the Resource, Financial and Industrial indices shedding 1.61%, 0.03% and 1.14% respectively. The local unit made marginal gains against the greenback, to trade at session highs of R15.02/$. Better than expected manufacturing production numbers added a flicker of hope for the weakened rand. At 17:00, the rand was trading at R15.13/$, off its highs of the day. Commodities were generally weaker on the day as the dollar advanced against most currencies, sending commodities weaker. Brent crude bucked the trend as fears of a bitter winter and a strong hurricane season pushed crude prices higher. A barrel of Brent crude was changing hands at $78.31. Precious metal prices were softer on the day as gold was seen trading at $1 192/ounce, while platinum and palladium were flat on the day, trading at $786.40/oz and R977/oz respectively. Cryptocurrencies were also weaker on the day as Bitcoin and Ethereum retreated to trade at $6 208 and $185 per coin respectively, translating into moves lower of 1.5% and 5.2% respectively.